And Say “Goodbye” To Machines For Men. Determine If Your CPAP Machine Is Right For You. Provide Your Information Above To Schedule A Free Equipment Consultation And Test. Men and women with Obstructive Sleep Apnea (OSA) experience separate sets of symptoms and until now, the majority of CPAP equipment treated men and women exactly the same. Experience fewer, shorter apneas than men..
40% Of Newly Diagnosed OSA Sufferers Are Women And Many Women Use Treatments Made For Men. The difference between OSA in men and women is about more than sleep comfort. And a host of other serious issues that don’t just make it impossible for you to get a good night’s sleep, but can also affect your overall mood, health, safety, and quality of life. Isn’t it time you had access to CPAP devices specifically engineered to fit women’s unique characteristics? This isn’t a dream. All this and more is 100% possible thanks to the all-new, first-ever CPAP machine that’s tailor made to provide you with the therapeutic responses you need to sleep and live more comfortably… and it’s available right now at Sleep Right Australia! Laser-Targeted Treatment of your specific and unique sleep apnea symptoms, including female patients who suffer from Central Sleep Apnoea (CSA). ResMed’s wide range of solutions offer women personalised therapies to improve breathing, sleep, and your overall quality of life. First Female-Specific Algorithm designed to respond to the unique sleep apnoea symptoms women like you suffer from… including increased upper airway resistance and shallower breaths… so you can rest easy and wake up feeling refreshed. Fewer Sleep Disturbances For You And Your Partner thanks to the increased sensitivity to airflow limitationof this machine that makes it easy to deliver the therapeutic responses you need. 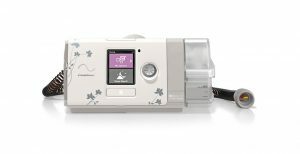 Comfortable Gear In The Right Size… This CPAP machine doesn’t just use a special algorithm to help you sleep soundly… it also comes with a smaller sized mask, cushion, and straps… and… smaller headgear that you can wear over or under your hair for a more secure fit and all night comfort. Ongoing CPAP Device ManagementAnd Support from Sleep Right Australia… Let our professional and friendly staff handle your needs, answer your questions, and assist you with any trouble you might be having with your new machine. 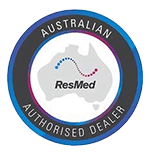 Our machine expert Andrew has over 5 years of experience in troubleshooting and servicing CPAP devices and can quickly resolve your issue thanks to the exclusive remote monitoring feature of the ResMed AirSense 10 AutoSetFor Her. Contact Us Today For A FREE Consultation And Discover If Your CPAP Machine Is Right For You! Is your CPAP machine outdated, uncomfortable, or designed without your specific symptoms in mind? When you contact Sleep Right Australia today for a free equipment consultation (just complete the form above or at the bottom of this page), we’ll help you determine if your systems are unique and if you’re using the proper CPAP equipment. During your FREE consultation, we’ll explain the advantages of a machine designed specifically for women, and recent advances in technology that allow you to experience greater control over OSA with more comfort than ever before. You’llAlso Get $100 OFF A New And Improved Machine Just For Mentioning This Ad! Step 1: Sign up or stop by our clinic today for a free consultation to learn more about the first ever CPAP device designed specifically with women’s unique needs in mind. Step 2: During the time of your consultation, if you decide your current CPAP machine isn’t meeting your unique needs and providing you with the comfort you deserve, simply mention this ad and we’ll automatically give you $200 in trade-in credit towards the purchase of your new ResMed AirSense 10 AutoSet For Her! Plus, we also offer convenient payment plans to make sure this custom-engineered, state-of-the-art CPAP machine for women is absolutely within your reach! Remember: There’s absolutely no-cost, no-obligation, and no risk. Simply stop by our friendly office, swap out your old, made-for-a-man machine, and rest easy from now on! The time to act is now. Go ahead and schedule your consultation today and discover how this device could help you sleep better, have more energy during the day, and improve your overall quality of life! Take The First Step Towards A CPAP Machine That’s Made Just For You. Consultation And Claim Your $100 Trade-In Credit Today.